Carex lurida is a perennial sedge, 20 cm to 1 m tall, stems tufted, often quite robust, bluntly to sharply 3-sided, smooth, purplish at base. Leaves alternate, basal leaves bladeless, stem leaves 0.4-0.7 cm wide, yellow-green, veins with small cross branches (septate-nodulose); usually longer than flowering stem; ligule triangular, longer than wide; inflorescence bracts leafy, elongate. 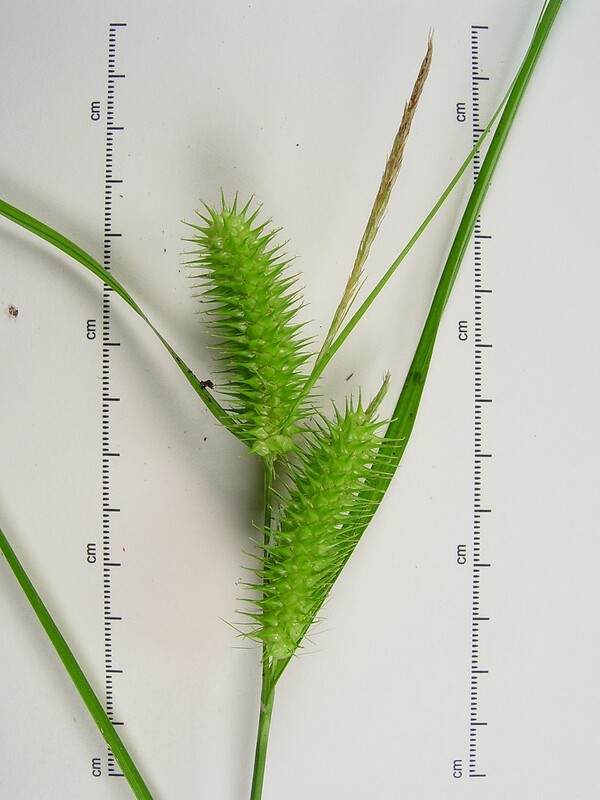 Carex lurida, inflorescence. By Donald Cameron. Copyright © 2017 Donald Cameron. New England Wild Flower Society. gobotany.newenglandwild.org (Accessed 12/2017). 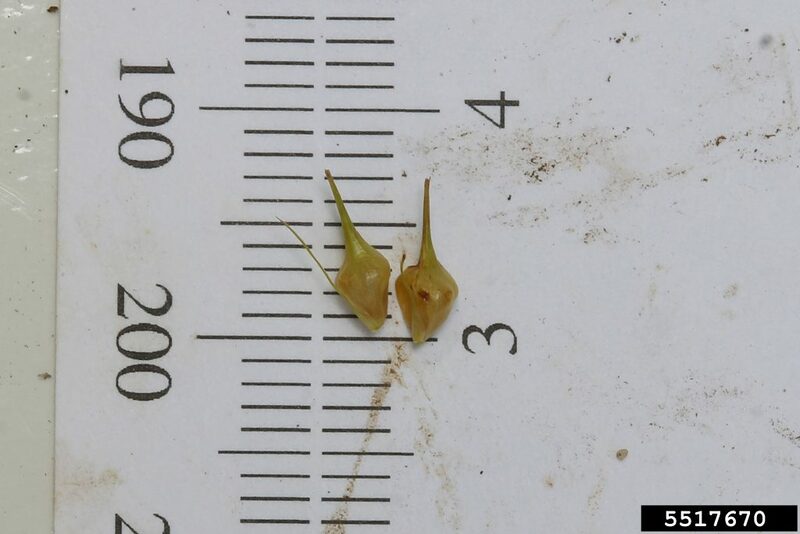 Flowers: male spike at top of stem, female spikes 2-4, 1-7 cm long, 1.4-2 cm wide, dense, often drooping; scales with awn as long as or longer than body, perigynia 0.6-0.9 cm long, long-beaked, body inflated; achene 3-sided, longer than wide, with long twisted, persistent style; blooms and fruits June-Oct.
Carex lurida, perigynia. Rob Routledge, Sault College, Bugwood.org licensed under a Creative Commons Attribution 3.0 License. forestryimages.org (Accessed 12/2017). 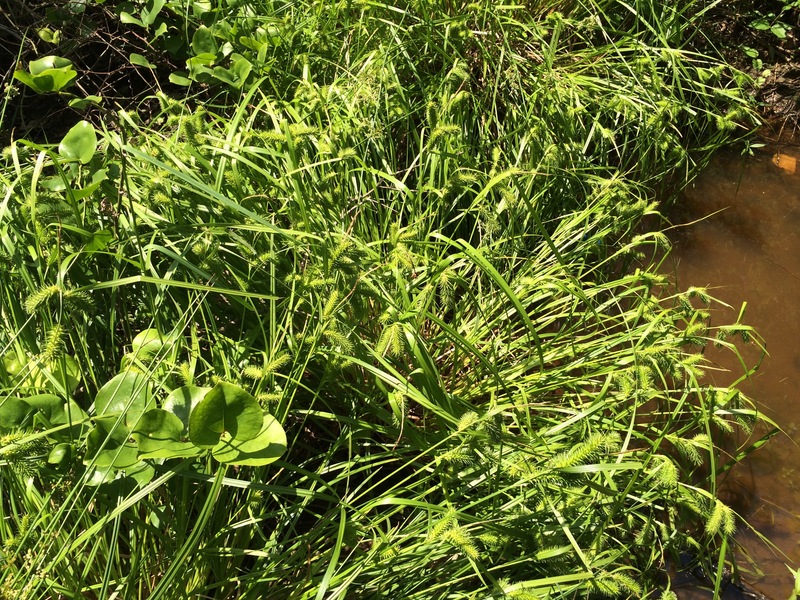 Habitat: Sunny swamp forest gaps, open marshes, wet ditches, soil pH 4.9-6.8, moderately tolerant of shade, fire, anaerobic soil, intolerant of salt, drought (USDA, NRCS 2010).